SimpleOrder is now Upserve Inventory! Upserve Inventory is easy-to-use restaurant inventory management software for restaurants and chains, designed to optimize and streamline Back-of-House operations. The cloud-based platform and apps feature online purchasing, automatic inventory, recipe costing, central kitchen operations, sales integration and more. Upserve’s restaurant management platform is your all-in-one solution to successfully run your restaurant. We provide payment processing, point of sale, inventory management and valuable insights to boost margins while saving you time. Looking for Help to Run your Restaurant ? 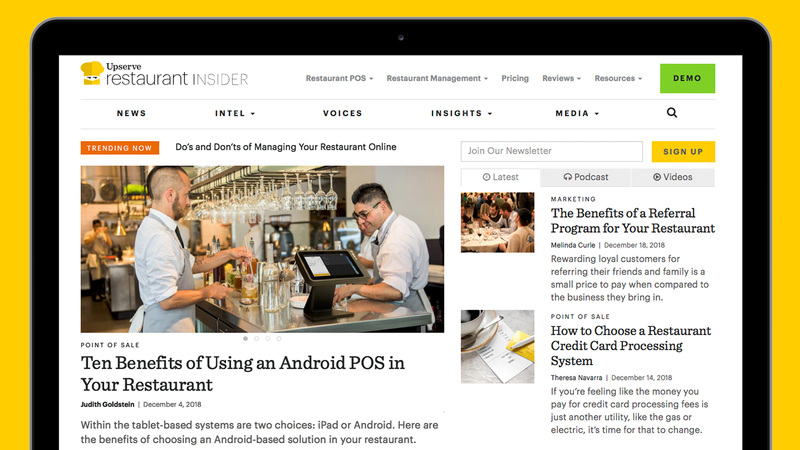 Check out Restaurant Insider for all the latest news, trends, stories, and advice to help you stay on top of the restaurant industry.